Allison Bramwell is a newly minted Associate Professor in the Department of Political Science at the University of North Carolina at Greensboro, where she gets to introduce both undergraduate and MPA students to all things urban. She holds a PhD in Political Science from the University of Toronto and retains her ties with the Munk School of Global Affairs as a Research Associate with the Innovation Policy Lab. Interested in 21st century urban governance as it unfolds in complex, multilevel policy contexts, Allison studies the institutional dimension of urban and regional development that emerges at the intersection of political economy, public policy and administration, and economic geography. Driven by the enduring preoccupation of many urbanists with the realistic prospects for balancing local democracy, equity, and growth, she has published in Urban Affairs Review, Research Policy, Regional Studies and with the University of Toronto Press on collaborative governance, regional innovation, workforce development, and the role of post-secondary institutions in regional economic development. 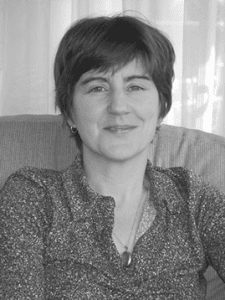 She is currently working on a book that examines the political economy of restructuring through a digital economy lens, comparing the socio-technical implications for under-studied mid-sized urban regions – the people and places on the ‘wrong side of the digital divide’ – in Canada, the US, and Europe. Allison is actively involved in various community initiatives devoted to regional equity and inclusive innovation but is a neophyte to UAA governance. She is keen to participate on the UAA Governing Board where she would advocate for comparative and inter-disciplinary agendas. 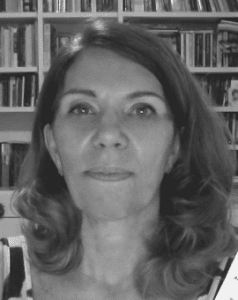 Rachel Coutinho-Silva is Associate Professor in the Department of Architecture and Urbanism at Pontifical Catholic University of Rio de Janeiro. She teaches undergraduate and graduate courses in urban planning theory and local urban development. Her research focuses on community development in squatter settlements, with an emphasis on participation, empowerment, urban violence and social justice. She has published articles on slums upgrading policies and edited two books about contemporary urban issues in Brazil. She has worked as a planner for the State of Rio de Janeiro Development Agency and for the Municipal Secretary of Urbanism in the City of Rio de Janeiro, where she dealt with land use legislation. Rachel received her Master’s degree in regional planning and a Ph.D. in urban planning from Cornell University. Rachel has participated in UAA conferences, where she presented papers on urban violence, social justice and community participation in Brazil, and has contributed in the Special Track on Urban Issues in Central & South American and the Caribbean. Rachel seeks election to the Board to help increase awareness about urban issues in South American countries and to contribute to the development of collaborative activities and comparative research among scholars from the US and the Global South. She also wants to increase access to the annual conference for South American scholars and students, and to recruit new members within the South American academic and research community. 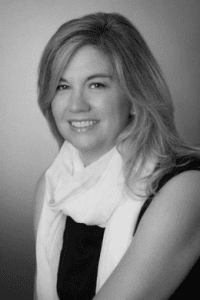 Bernadette Hanlon is Associate Professor of City and Regional Planning at Ohio State University. She teaches courses in planning theory, housing and practice-base studios. Bernadette’s research specializes in the political economy of metropolitan regions, focusing on issues of suburban transformation, housing conditions and demographic analysis. She has a number of books including Once the American Dream: Inner-ring Suburbs of the United States and (coauthored with John Rennie Short and Thomas Vicino) Cities and Suburbs: New Metropolitan Realities in the US and most recently (coauthored with Thomas Vicino), Global Migration: The Basics. She has published in journals such as Urban Studies, the Journal of American Planning Association, Urban Geography, Land Use Policy, and the International Journal of Urban and Regional Research. She holds a B.A. in Politics and Philosophy from University College Dublin (UCD), a M.Phil. from Trinity College Dublin, and a M.A. and PhD from the University of Maryland, Baltimore County. She has lived in Dublin, New York, and Baltimore and now lives in Columbus, Ohio. 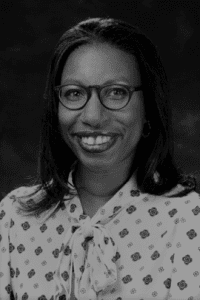 Bernadette has been an active member of the Urban Affairs Association since 2003 and has served as a UAA Board member since 2016 and as Secretary of the Board since 2017. Bernadette seeks reelection to the Board to help develop programs for under-resourced students (including postdoctoral students), adjunct faculty, and minority students so they can attend the UAA conference to engage in UAA’s mission of creating a space to have an interdisciplinary intellectual and practical debate about urban life. 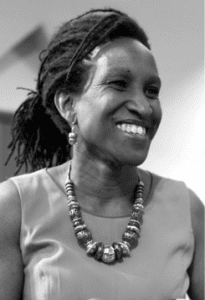 Kimberley Johnson is Professor of Social and Cultural Analysis, and currently the Director of Metropolitan Studies at New York University. Johnson teaches courses at the undergraduate and graduate level on urban studies, race and ethnic politics, and the criminal justice system. Her research focuses on African American urban and suburban politics. She is currently working on a book manuscript exploring the development of black urban citizenship in Newark, NJ and Oakland, CA. Johnson is the author of two books, Reforming Jim Crow (Oxford, 2010) and Governing the American State (Princeton, 2007); and, numerous articles and book chapters on American political development and its intersection with racial and ethnic politics. Johnson is an Affiliated Faculty member of NYU’s Wagner School of Public Service. Kimberley received her PhD in Political Science from Columbia University. Kimberley’s service to the UAA includes serving on the Board, and the Best Conference Paper Award Committee, Kimberley has presented numerous papers at the UAA conference. Kimberley seeks re-election to the UAA Board to continue to help the association reach out and forge relationships with different parts of the scholarly, practitioner and activist communities; and continue to make the association accessible for all. Mark Joseph is the Leona Bevis and Marguerite Haynam Associate Professor of Community Development at the Jack, Joseph and Morton Mandel School of Applied Social Sciences at Case Western Reserve University. 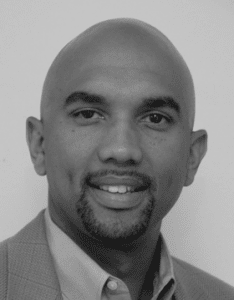 He is also the Founding Director of the National Initiative on Mixed-Income Communities. Mark’s research focus is mixed-income development as a strategy for promoting urban equity and inclusion. Mark is a member of the Board of Trustees of the George Gund Foundation and a member of the External Advisory Committee for Chicago Grantmaking at the John D. and Catherine T. MacArthur Foundation. He is a member of the advisory board of the journal Cityscape and on the editorial boards of the Journal of Community Practice and Housing Policy Debate. He received his Ph.D. in Public Policy and was a Post-Doctoral Scholar at the University of Chicago. He was a Harlech Visiting Scholar at Oxford University. He received his undergraduate degree in Government from Harvard University. Mark has served on the Alma H. Young Emerging Scholar Award Committee and has organized and presented on multiple panels. He has received the UAA Best Paper Award and Honorable Mention for the Book of the Year Award. Mark is deeply grateful for the many ways that the UAA community has nurtured his career. He is seeking election to the UAA Board in order to help steward UAA’s current operations, chart a strong, durable future for UAA and enhance UAA’s influence and impact on the next generation of scholars, particularly scholars of color. As a member of the UAA since 2003, Mai received such incredible support from the Association and its members. The Association holds a special place in her heart and Mai is honored to be the current Board Chair. She would like to continue on the Board to continue to lead a number of important initiatives, including developing a new journal focused on race, ethnicity and the city, growing the newly formed UAA Honor Society, planning the 50th anniversary celebration of UAA, and fundraising to support UAA members. Mai has been on the Board for three years and has served as the Treasurer and Board Chair. Prior to being on the Board, she was the chair of the Finance Committee that reviews UAA’s audits, budgets, and finances. Mai is an Associate Professor of City & Regional Planning at UNC-Chapel Hill. Her research focuses on social and spatial equity by examining topics related to housing, immigration, and disaster recovery planning/policies. At UNC, she is currently the Director of New Faculty Programs, a program designed to integrate new faculty into the university community and provide resources so that faculty can achieve their full potential. She is also the Director of MURAP, a program to train underrepresented minority students for a career in the academy. 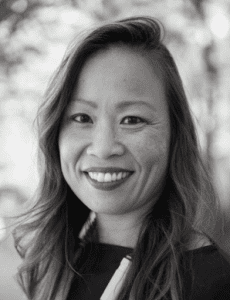 Some of you may know Mai from Planners2040, a Facebook discussion group that she administers to connect and support urban planning faculty, students, and practitioners across the globe. Akira Drake Rodriguez is a Postdoctoral Fellow in the Department of City and Regional Planning at PennDesign. She teaches graduate courses in race and the city and qualitative research methods. Her research focuses on the use of public goods and spaces as political sites, and she has a manuscript under contract with the University of Georgia Press. Prior to her academic career, Akira was a consultant with IBM’s Public Sector division and worked with the Department of Housing and Urban Development, the Federal Emergency Management Agency, and the New York City Housing Authority. Akira received her Bachelor’s degree from the Wharton School and her PhD in Planning from the Bloustein School at Rutgers University. Akira has presented a paper or sat on a colloquium annually at the Urban Affairs Association conference since 2012, and has organized several panels during her six years of membership. Akira seeks election to the board to make the association and its conference more accessible to academics who are navigating the precarious academic market and lack the stability of a “home” institution. She is also advocating for greater inclusion of activists and practitioners in the conference, in an attempt to bridge the gap between theory and practice.